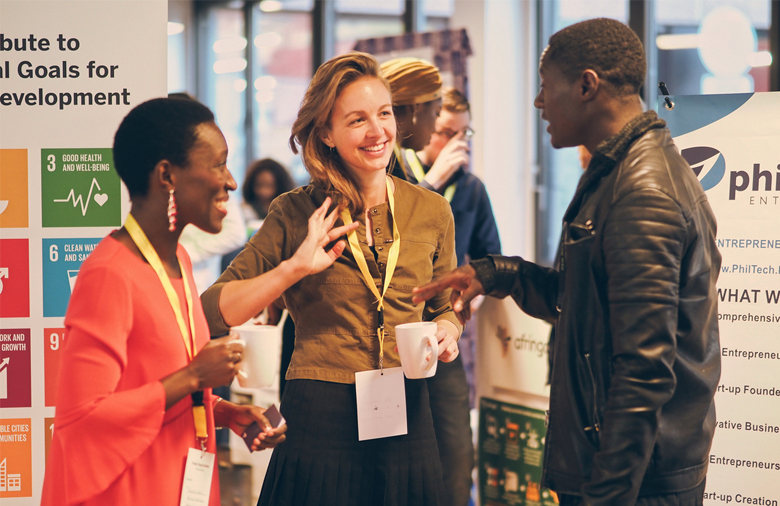 The ASA Kaleidoskop is the ASA Programme’s annual dialogue and networking event on sustainable business. 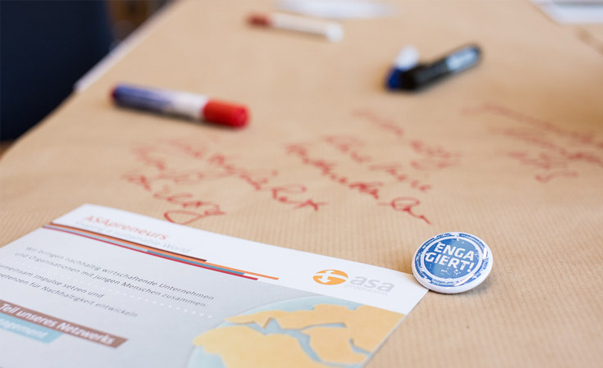 It brings together members of the ASA network with stakeholders from the economy and civil society to discuss ideas and develop strategies for a more sustainable global economy. 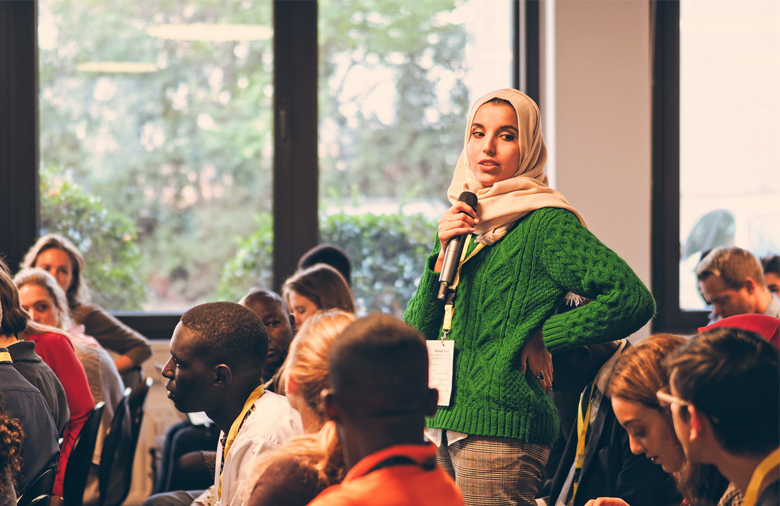 It functions as an international networking platform for collaboration between young change agents and business partners from the Global South and Germany. 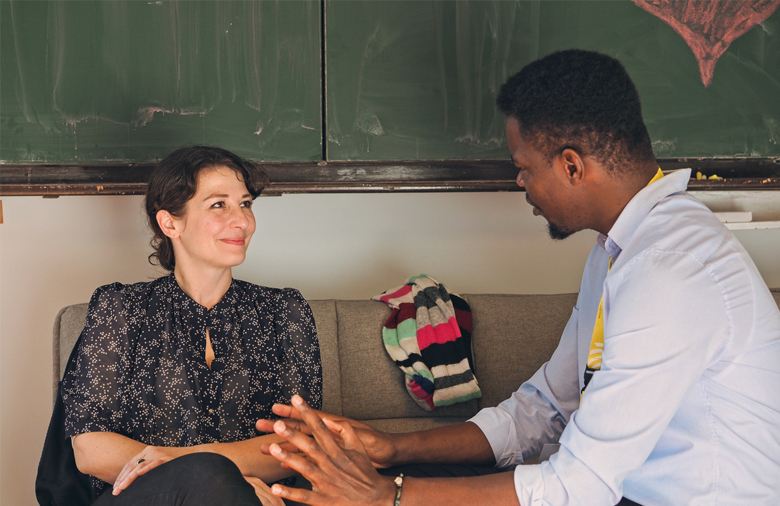 Since 2015, the ASA Kaleidoskop has been organised within the framework of the African German Youth Initiative (AGYI). 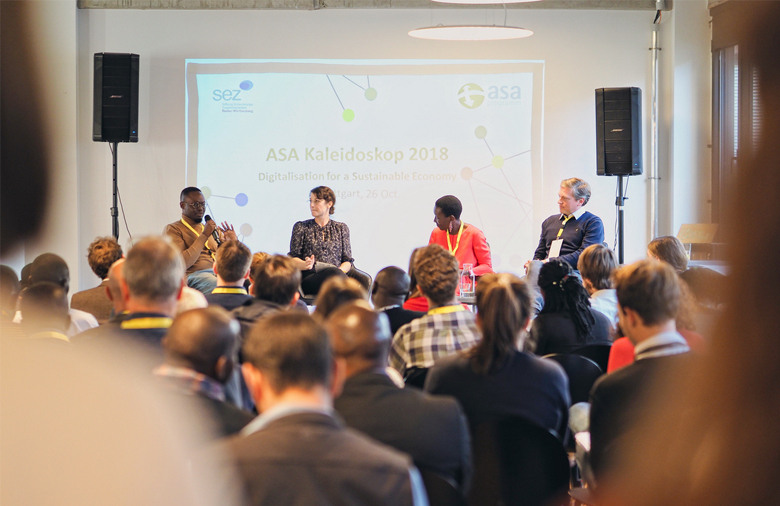 For its 2018 edition, the ASA Kaleidoskop attracted near to 90 guests interested in the overarching topic of Digitalisation for a Sustainable Economy to share, discuss and network. 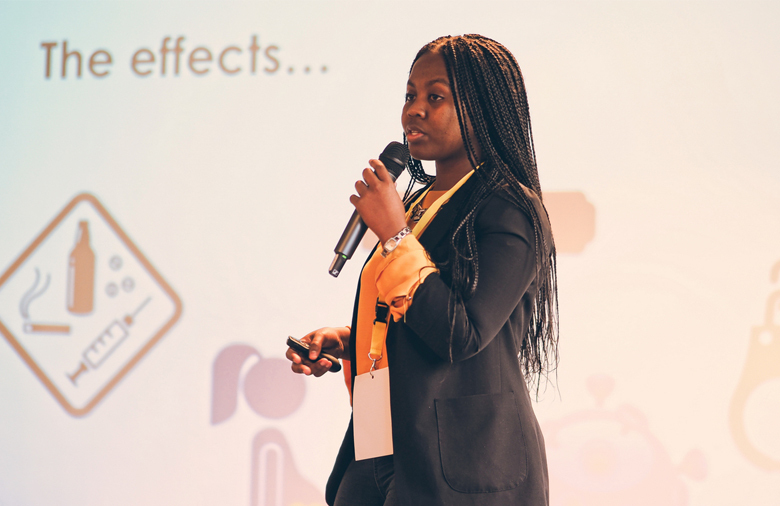 Kickstarting with an inspirational keynote by tech savvy Geraldine de Bastion the event offered a schedule that focused on interaction and hands on approaches to issues linked to today´s technological developments and their effects on societies and the environment. 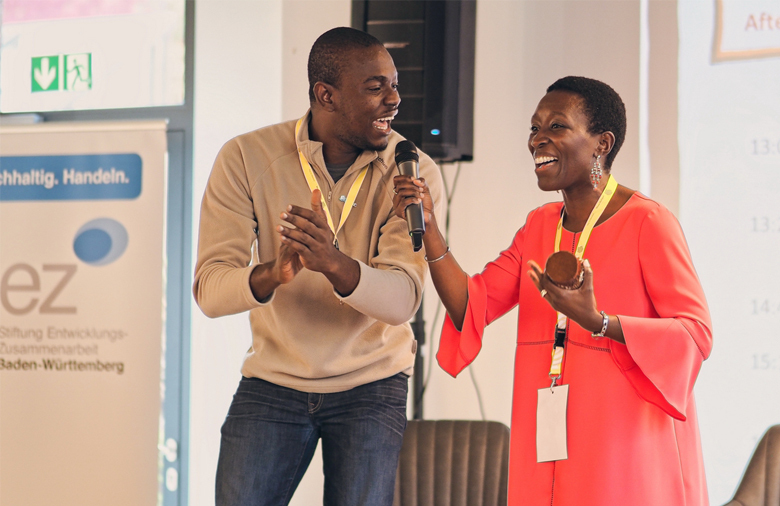 Participants enjoyed a broad range of parallel input and impulse sessions moderated and guided by SEED, Women in Tech Africa, Hacker School and others. 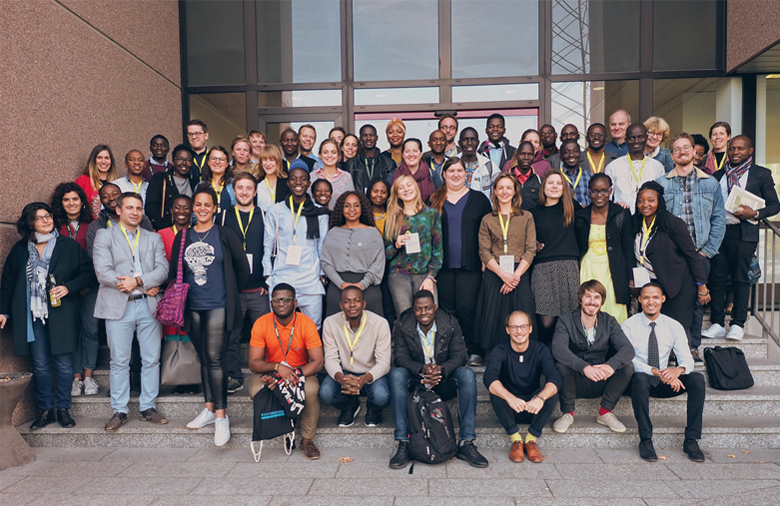 For a third consecutive year the event also constituted the last day of the Autumn School for Sustainable Entrepreneurship, during which thirty-two (32) social entrepreneurs from Germany and across the African continent were invited to Stuttgart for a one-week programme. Whilst some of these pleased the crowd with dynamic pitches, others showcased their enterprises and products at the Kaleidoskop Marketplace. 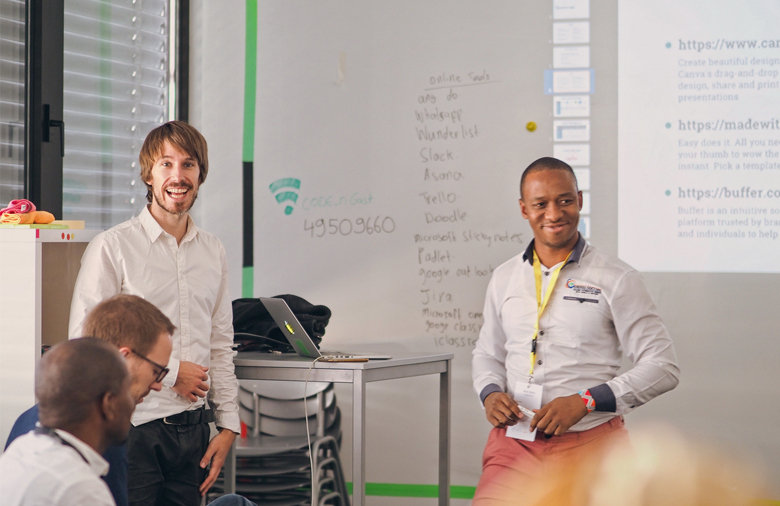 Autumn School Alumni Manuel Dingemann (Erster Sinn, Germany) and Bryan Majola (Energy Doctors, South Africa) offered an input session on Digital Tools used by Social Entrepreneurs. Delightfully moderated by Flavie Singirankabo, a diverse and highly competent panel rounded up the day. Steve Odhiambo (founder of several digital start-ups in Kenya and Germany), Geraldine de Bastion (activist and co-founder of a digital consultancy) and André Reichel (Professor for International Management and Sustainability) discussed the possibilities and boundaries of modern technologies from a broader societal and environmental perspective. 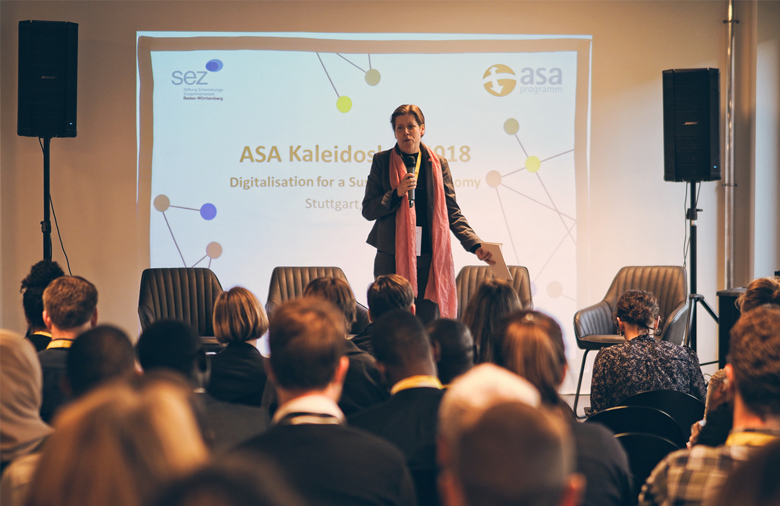 The ASA Kaleidoskop took place on 26 October in Stuttgart’s go-to digital hub CODE_n and was organised in close partnership with the Foundation for Development Cooperation Baden-Württemberg (SEZ). Please note that the date and topic for the next ASA Kaleidoskop have not yet been set. Please refrain from enquiries regarding registration. 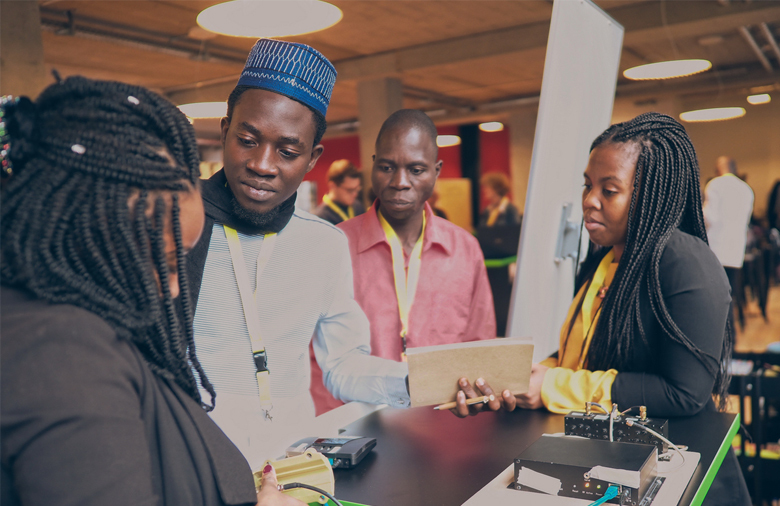 Hear what alumni and project partners have to say about the ASApreneurs Programme and the ASA Kaleidoskop. What is their opinion on Sustainable Business? 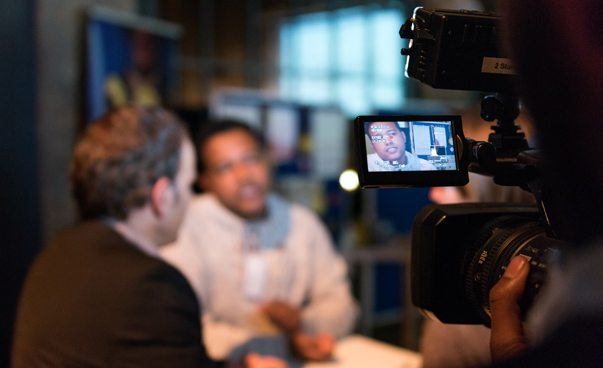 Recordings were made during the ASA Kaleidoskop 2015, partly in German and English. The ASA Kaleidoskop has been taking place since 2010 on an annual basis. 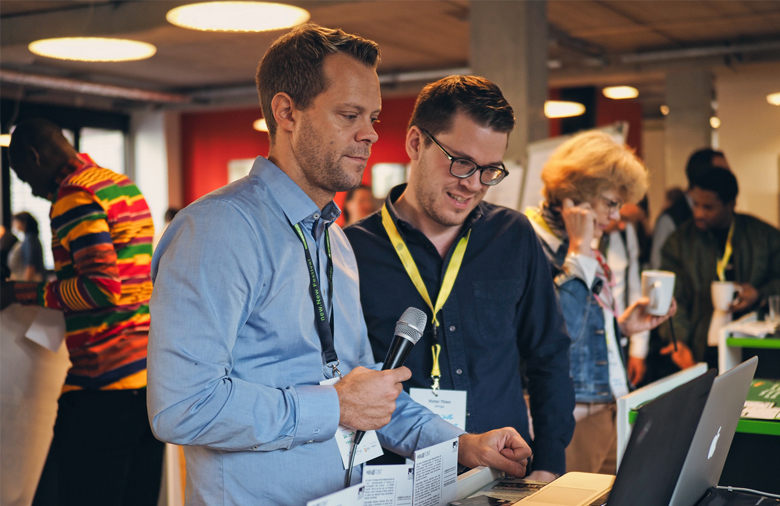 Click here to find out more about previous events (content partly in German). 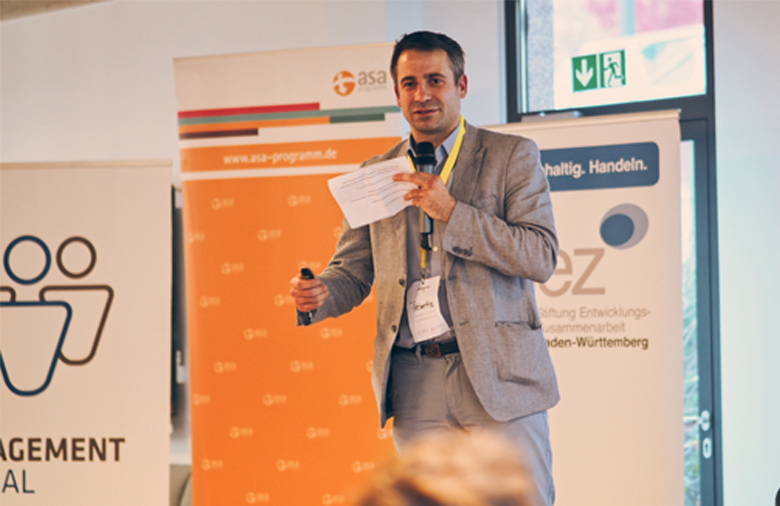 The ASA Kaleidoskop 2018 was being organised by Engagement Global with its ASA Programme in cooperation with the Baden-Württemberg Foundation for Development Cooperation (SEZ). Das ASA-Kaleidoskop ist das jährliche Dialog- und Vernetzungstreffen des ASA-Programms zum Thema Nachhaltiges Wirtschaften. 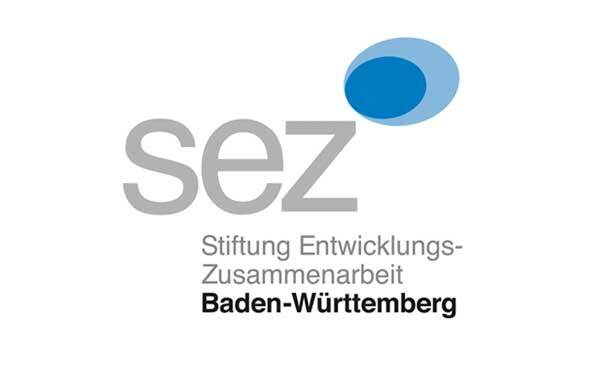 Dabei kommen die Mitglieder des ASA-Netzwerks mit internationalen Akteur_innen aus Wirtschaft und Zivilgesellschaft zusammen, um sich über Ideen und Ansätze für eine nachhaltigere globale Wirtschaftsweise auszutauschen und sich zu vernetzen. Haben Sie Fragen zum ASA-Kaleidoskop? Dann wenden Sie sich an folgende Ansprechpartnerin.